If you need to contact us. The best way to do so is through the form on this page. It will mean we will be be able to deal with whatever your query is in a speedy fashion. Simply fill in the form and someone will get back to you as soon as possible. Alternatively you can use the phone links situated on the page or other pages to contact us. If you need to make a booking please do so on the book a table page located here. If something has went wrong on a visit to Maggie Mays we really do appreciate you getting in contact through this form. This will inform all levels of management and means what ever the issue is, It will be acted on quickly. Hospitality is a dynamic business and things do go wrong and we understand it can be difficult or inappropriate to speak up about issues during a visit. If you think our service or food is worth telling others about, we would really appreciate a wee review on TripAdvisor. 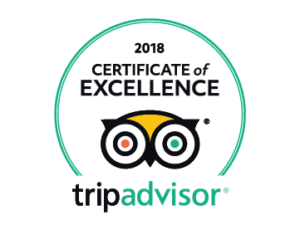 Trip Advisor is very important to all restaurants, cafes and if you receive great customer service this is a great way to say thank you, especially if you mention a member of staff.